This master study is the result of a field research in Bangladesh related to the first testing of an innovative solar pumping system developed by the University of Applied Science in Bienne (Switzerland) by Prof. Andrea Vezzini. The research was undertaken at a very early stage of development and has revealed important aspects of introducing a new technological solution. The main conclusion is that the human centred design process requires a not always linear process of trial and error, feedback, adaptation and it can not be introduced as a simple replacement of a diesel pump. A solar pump is performing differently and delivers less water per minute than a conventional diesel pump. 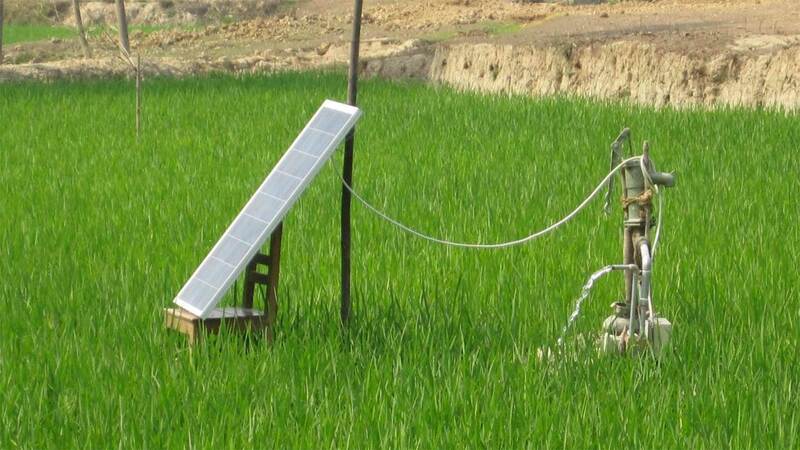 In Bangladesh, farmers are used to irrigate with flood irrigation and solar pumps may only be viable in combination with more efficient irrigation technologies such as drip irrigation.